This is a sponsored conversation written by me on behalf of BUSH’S® Beans. The opinions and texts are all mine. Recently, a regional recipe contest was happening and it all had to do with an American summer tradition – a good ole BBQ! BUSH’S® Beans conducted a consumer survey earlier in the year about grilling habits. You can read all about that HERE. Then, inspired by that survey, they decided to host a fun recipe contest featuring the four main BBQ regions of the U.S. (Midwest, Northeast, South and West.) You can view all the winners HERE. There were some really great recipes that came out of this contest that I am so excited to feature! The contestants had to come up with an original recipe inspired by their region and it had to be cooked on a grill and should pair well with one of BUSH’S® Baked Beans and/or Grillin’ Beans. I picked one winning recipe from each region to showcase. All I am gonna say is I am so glad I was not a judge for this contest because every single recipe I have made has had amazing flavor. This is the fourth and final recipe I am sharing from the contest. 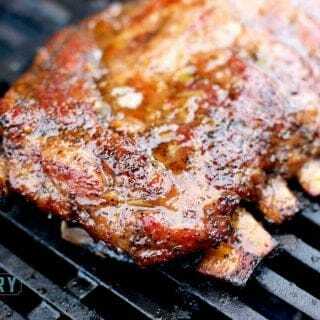 It is called Orange Honey Ribs and it is from Mike C. of Kansas and it was a winning recipe for the Midwest Region. 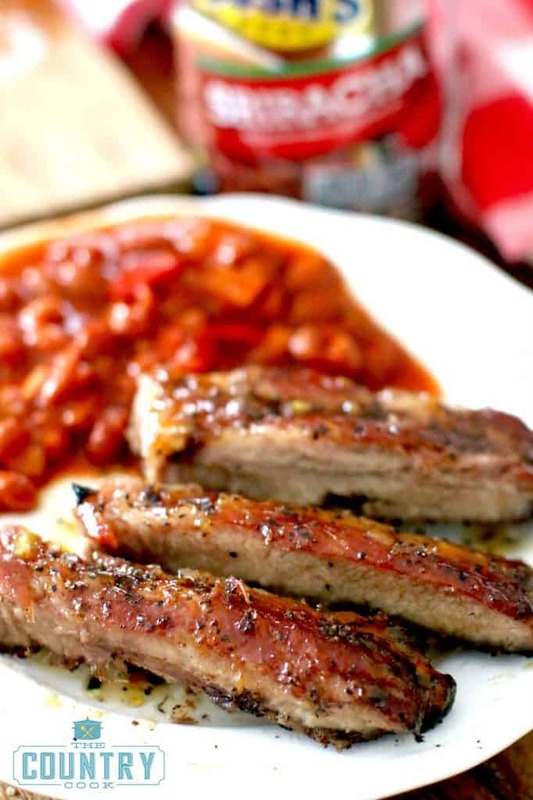 Mike serves these ribs with BUSH’S® Bold & Spicy Baked Beans. The BUSH’S Bold & Spicy Baked Beans as well as the new BUSH’S® Sriracha Beans (which are only around for a limited time!) 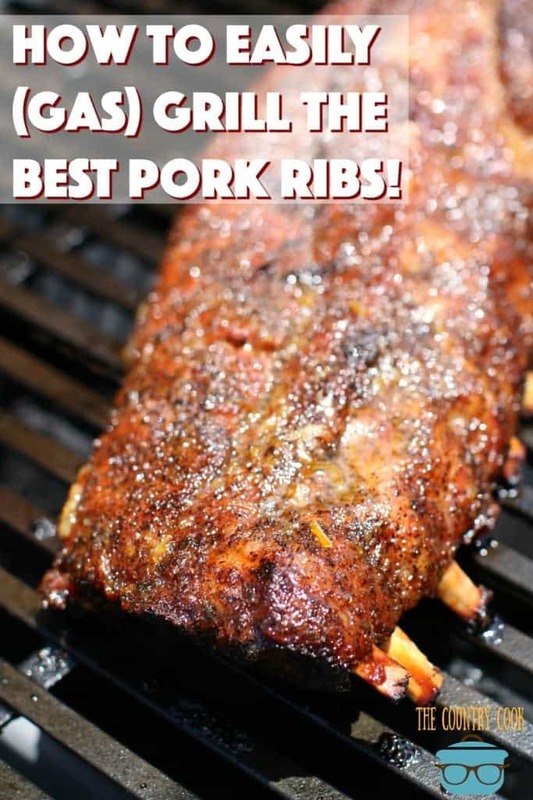 are a really nice compliment to the sweet ribs. Mike’s original recipe called for smoking the ribs. I don’t have a smoker so I had to adapt this recipe for my grill. It still turned out awesome and I thought Mike came up with a fantastic rub to use on these ribs and his special sauce is brilliant. Great job Mike! Place ribs into a large aluminum tray. 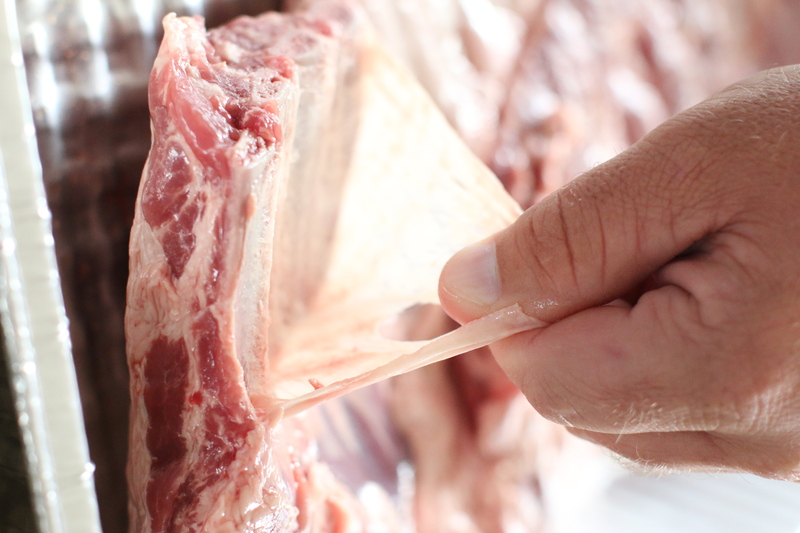 Prepare the ribs by removing the extra “silver skin” off the back of the ribs. 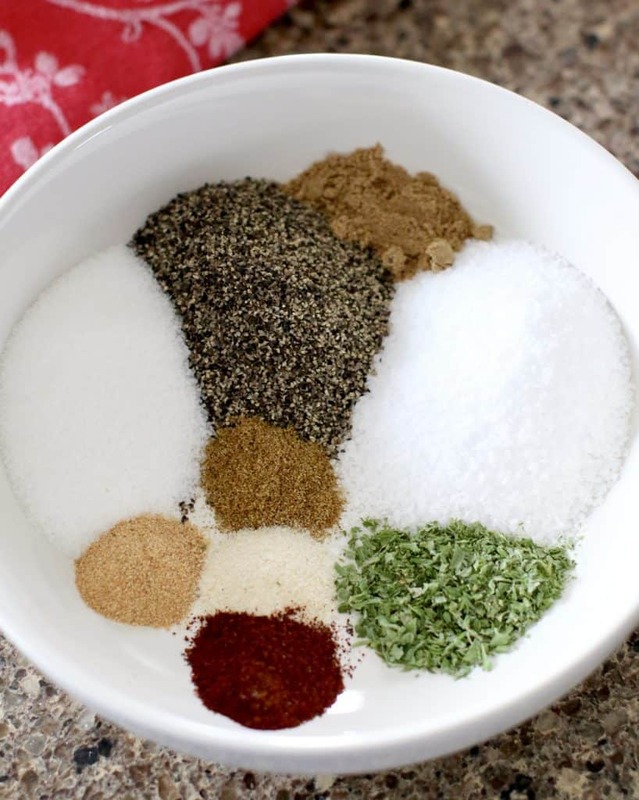 In a bowl, combine all the rub ingredients together. Season ribs liberally and rub it into the rib meat. 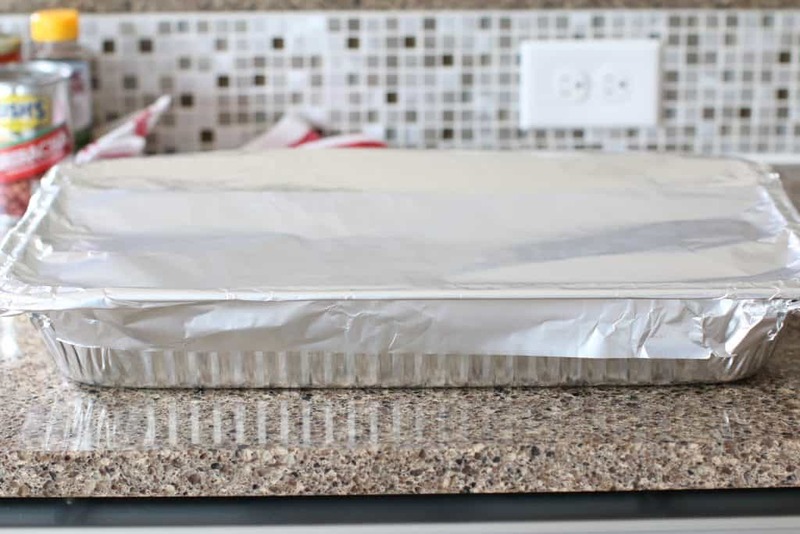 Cover rib tray with foil. Heat grill to 300 degrees F. Keep an eye on the grill temperature. Try to keep it at a consistent 300 degrees F during the entire cooking time. Cook ribs for about 2 hours. 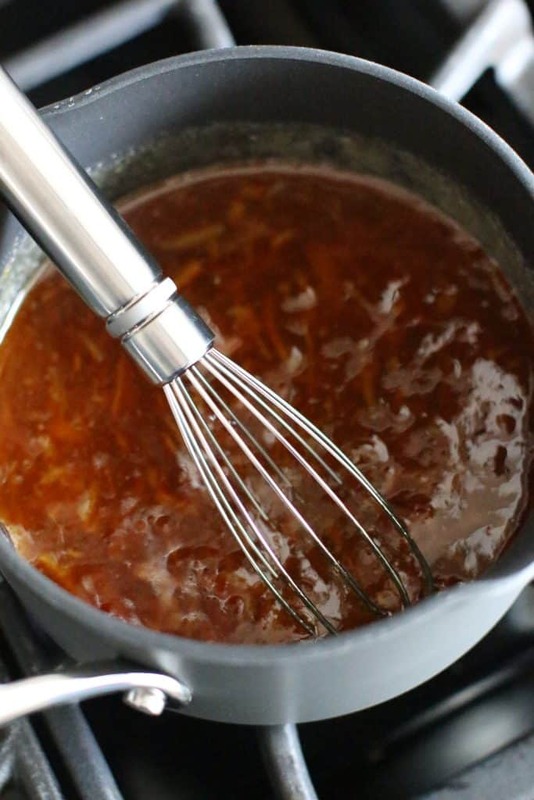 In a small pot, combine sauce ingredients. 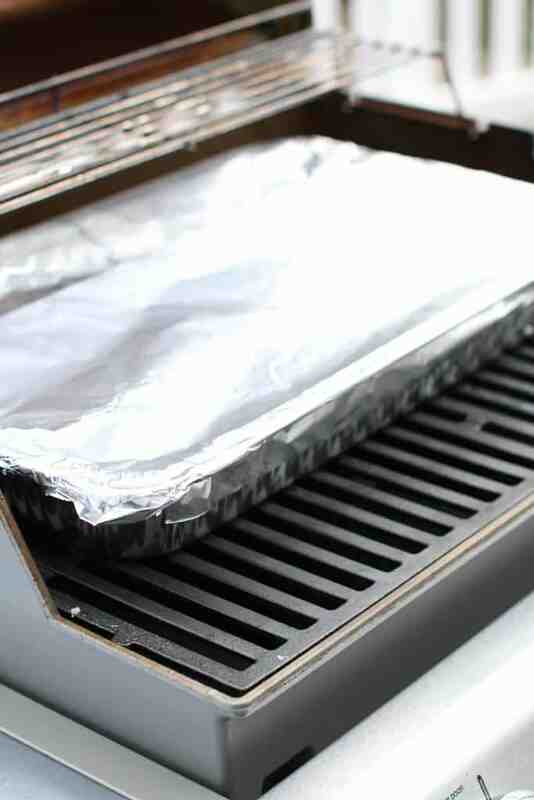 Remove the ribs from the aluminum tray and place directly on the grill (you may want to rub your grill grates with some oil first or use the grill-safe nonstick spray.) Apply sauce liberally to the ribs. Place lid back down on the grill and cook for an additional 5 minutes. Carefully flip the ribs over and add another coating of sauce. Cook for 5 more minutes. Continue this a couple more times to get a thick coating of sticky sauce on the ribs. Remove ribs from the grill and serve with BUSH’S® Sriracha Beans or BUSH’S® Bold & Spicy Baked Beans. 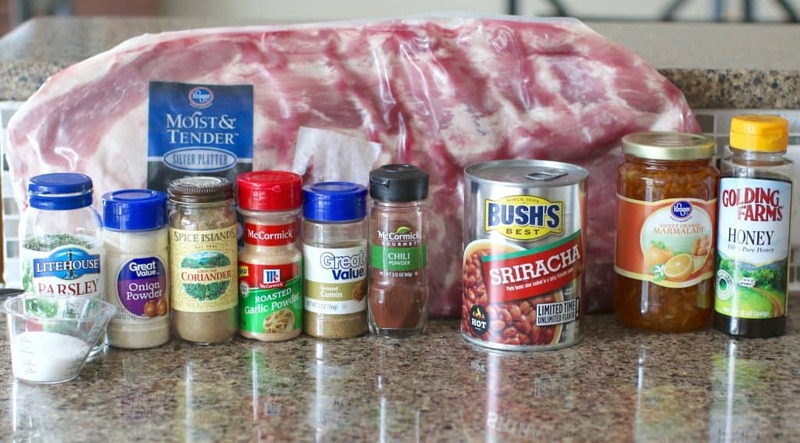 Mix rub together and season ribs liberally after pulling skin off the back of the ribs. Throw ribs on a smoker at 300 degrees F for one hour. After the first hour, wrap ribs in foil and put back on the smoker for another hour. While the ribs are cooking in the foil, in a small sauce pan, heat marmalade and honey to incorporate. At the end of the second hour, open ribs up and dress the ribs with marmalade and honey mixture. 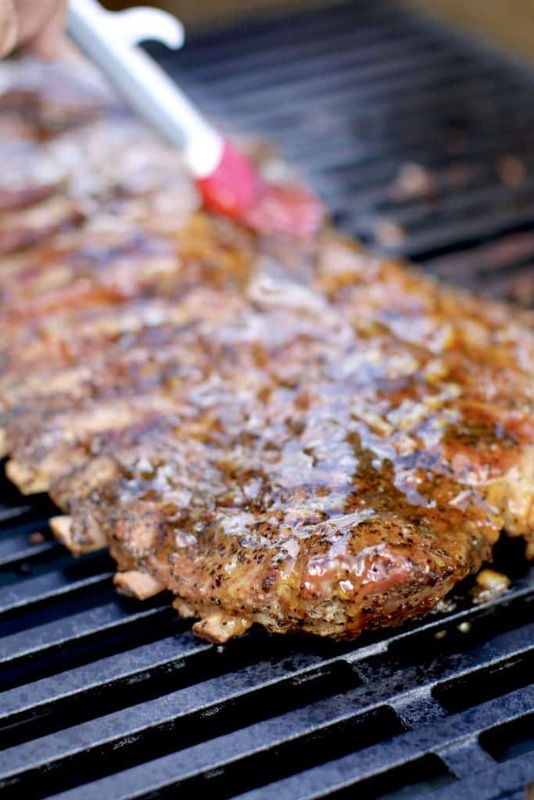 Leave the ribs exposed so the heat can caramelize the honey and marmalade to the ribs.At the end of the third hour, take your ribs off the grill and remove from foil. 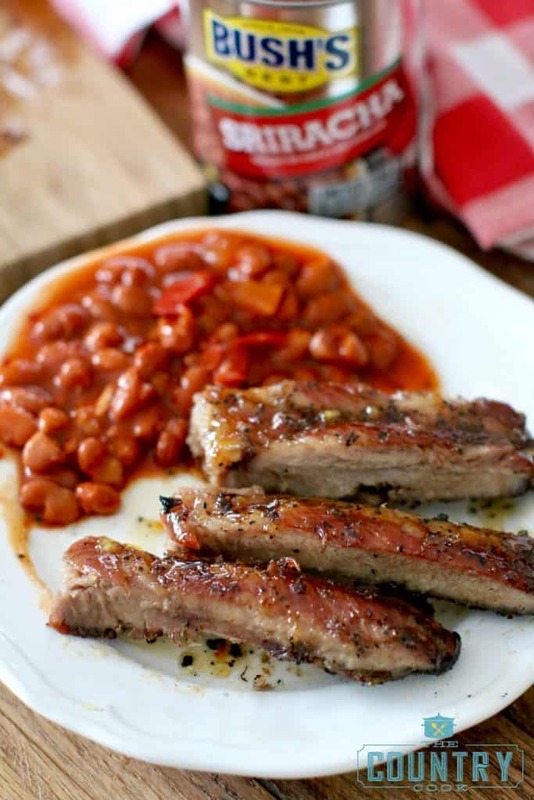 Slice and serve with BUSH’S Bold & Spicy Baked Beans to have a nice counter to the sweet ribs! 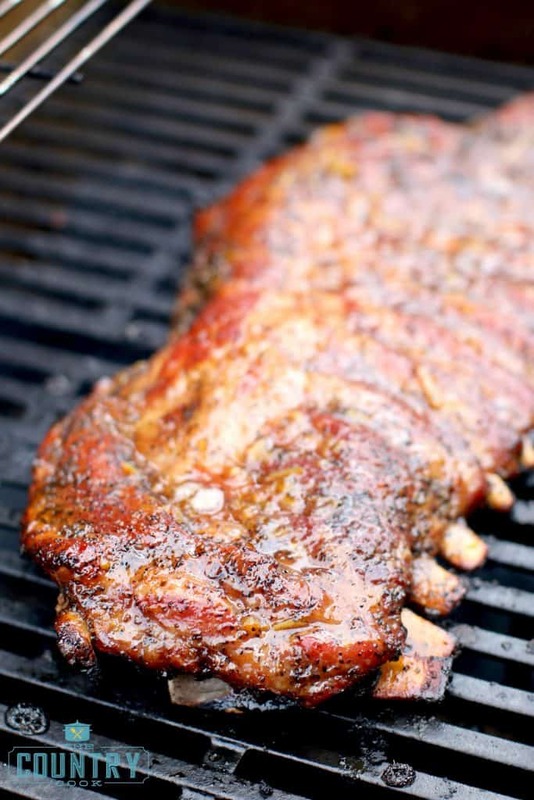 Place ribs into a large aluminum tray. 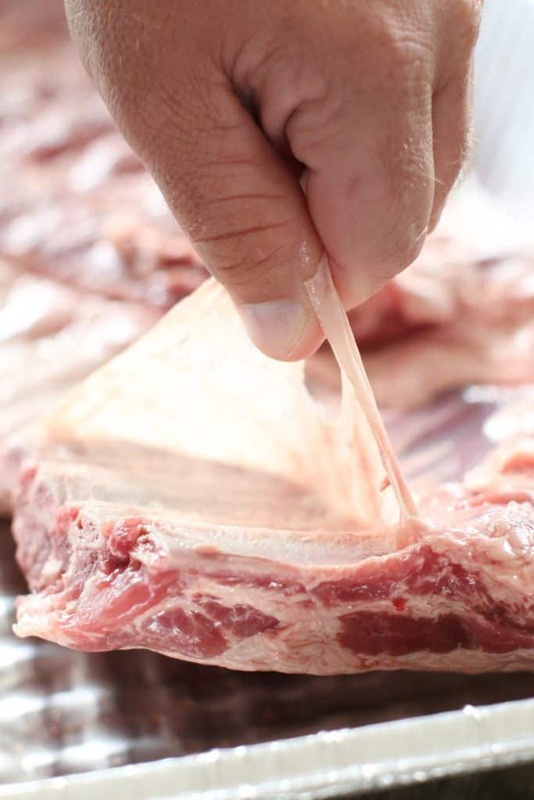 Prepare the ribs by removing the extra "silver skin" off the back of the ribs. Heat grill to 300f degrees. Keep an eye on the grill temperature. Try to keep it at a consistent 300f degrees during the entire cooking time. Cook ribs for about two hours. Apply sauce liberally to the ribs. 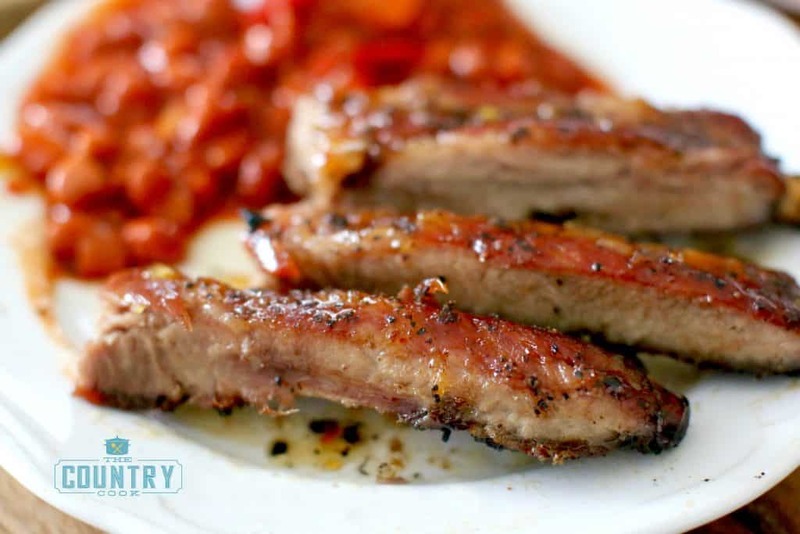 Remove ribs from the grill and serve with BUSH'S Sriracha or Bold & Spicy Baked Beans. 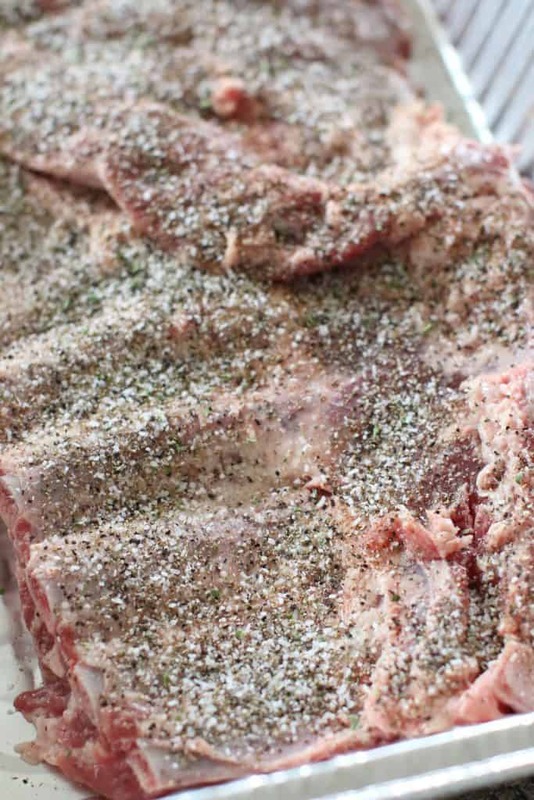 Mix rub together and season ribs liberally after pulling skin off the back of the ribs. Throw ribs on a smoker at 300 degrees for one hour. After the first hour, wrap ribs in foil and put back on the smoker for another hour. While the ribs are cooking in the foil, in a small sauce pan, heat marmalade and honey to incorporate. At the end of the second hour, open ribs up and dress the ribs with marmalade and honey mixture. 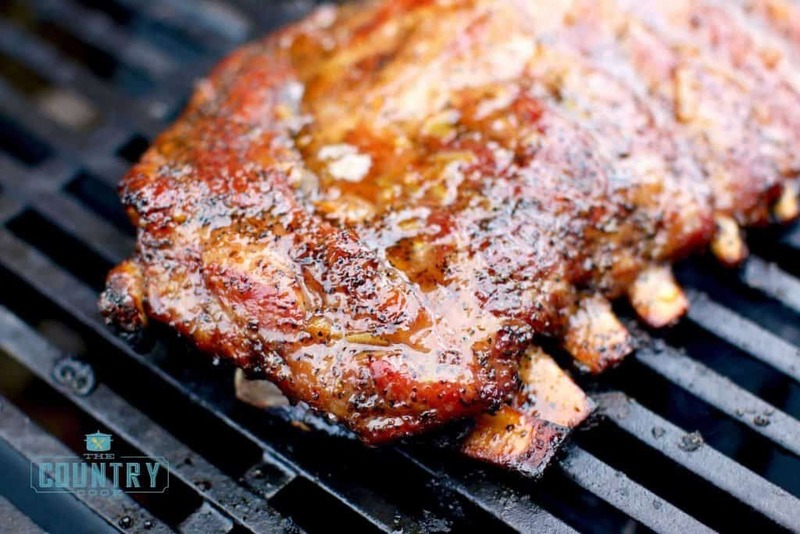 Leave the ribs exposed so the heat can caramelize the honey and marmalade to the ribs. At the end of the 3rd hour, take your ribs off the grill and remove from foil. 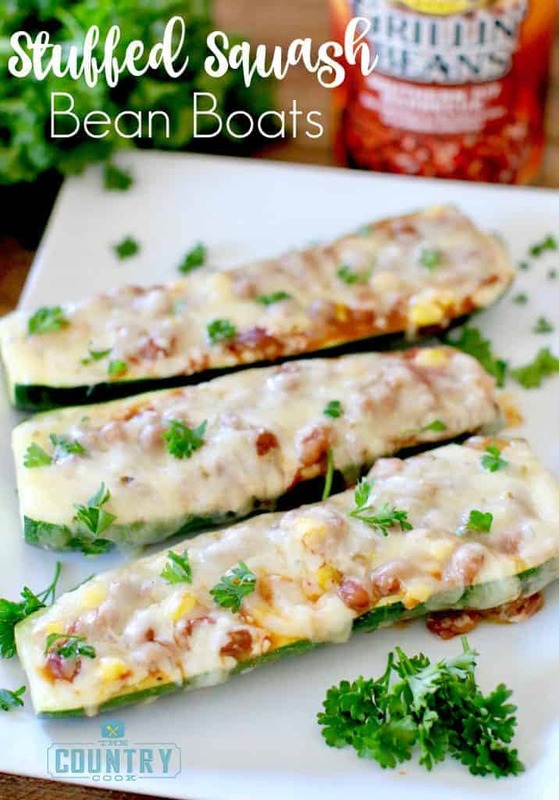 Slice and serve with bush's bold and spicy beans to have a nice counter to the sweet ribs! Be sure to check out the other winning recipes! Which region is yours? Thank you Heidi! I would have never though of a glaze like this on my own. My husband (who is super picky about his ribs) went nuts for it! 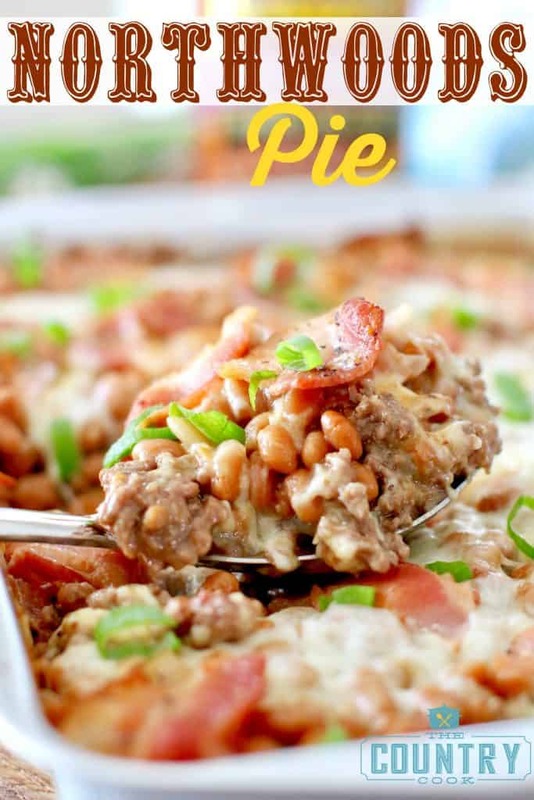 I actually want to make this for Thanksgiving, if I use the oven instead, how long would I cook it for? Hi Ros! About the same amount of time that you would on the grill. Low and slow is the best way to give the ribs time to get tender. Happy Thanksgiving! Are baby back ribs and St. Louis ribs the same? 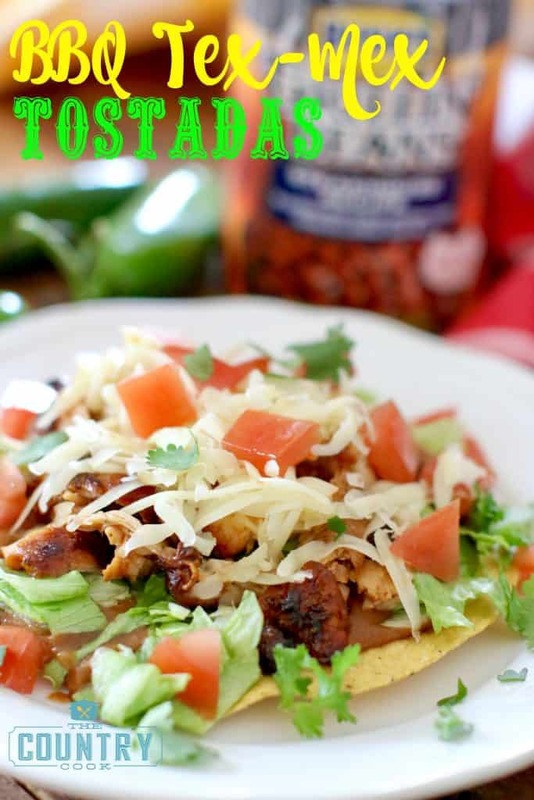 Can I make this recipe in the slow cooker (crockpot)? Made 2 racks of ribs so I doubled the rub. Used 1/2 cup kosher salt and the ribs were way too salty. Otherwise they would have been great. I would definitely cut the salt down to 1/8 cup each rack of ribs you make. Kosher salt is a very concentrated strong salt flavor so the recipe needs to be tweaked a little.